← Artologica at ScienceOnline (and online)! A(nother) visit to the Duke Lemur Center! One of the best-kept secrets that shouldn’t be a secret at all in North Carolina is the wonderful Duke Lemur Center, situated in Durham, NC. A research facility for the adorable but sadly endangered prosimians, it has the largest collection of lemurs in one place outside of their native home of Madagascar! 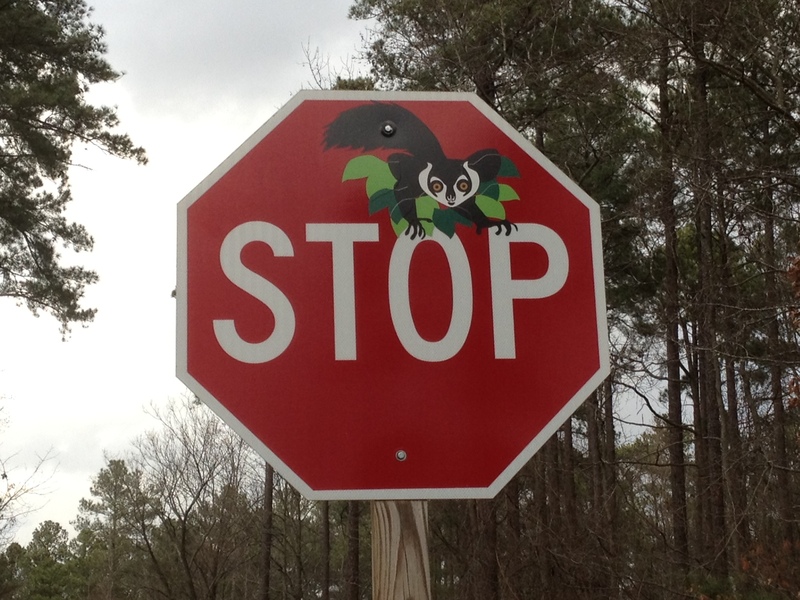 This past week I was participating in ScienceOnline 2013 (#scio13) in neighboring Raleigh, NC. Visits to the Lemur Center have been offered for conference in almost every year of the meeting, and almost every year I’ve tried to take the tour (see here and here, for instance). I skipped it last year to give others a chance to see these wonderful animals, but this year it seemed to have plenty of space available and I happily went along. I got some of the best photographs of lemurs that I’ve ever gotten before while at the center! Follow me below to see the lovely lemurs, and learn a bit about of them. Madagascar is a unique, and literal, island of biodiversity. Isolated from the rest of the world for millions of years, unique species have evolved there that are found nowhere else. Among these are the lovely lemurs, which are primates that arrived some 60 million years ago on the island on floating mats of vegetation from the African mainland. There are nearly 100 species of lemurs, and all are threatened by deforestation on Madagascar relating to the human population growth. 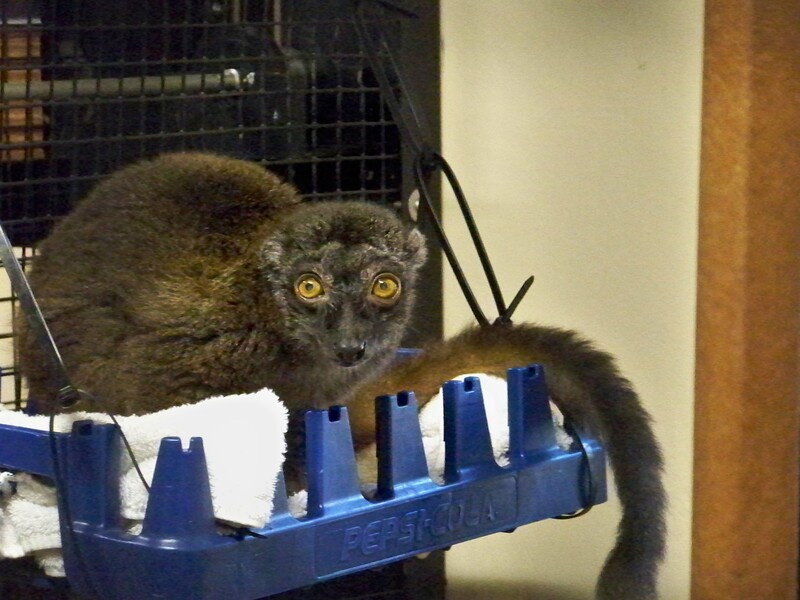 The Duke Lemur Center is involved in research, conservation and education relating to lemurs. They even work directly with the people of Madagascar to find solutions that will allow humans and lemurs to live together in sustainable harmony, though there are many challenges to preserving this unique group of animals. 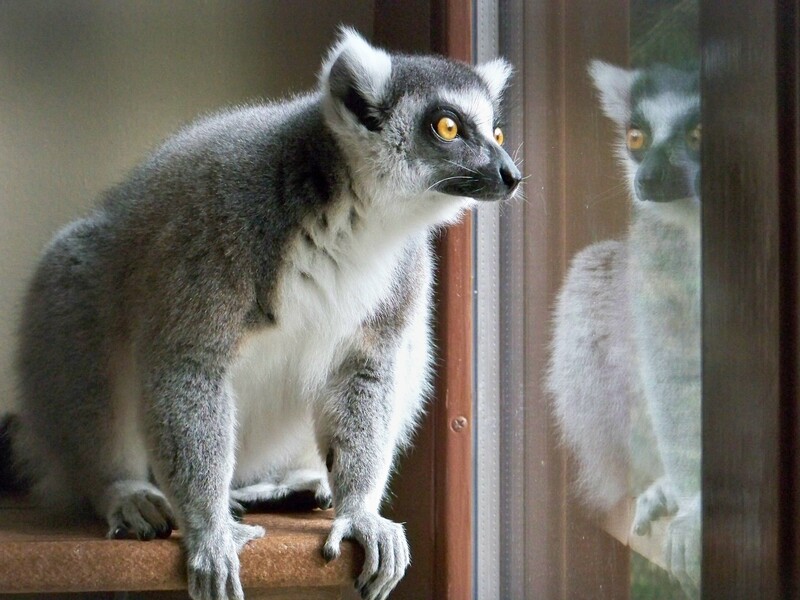 If you don’t want to go to Madagascar, the Duke Lemur Center is the next best place to see lemurs! The Center has a variety of tours that run almost year-round; during the warmer months, it is even possible to walk with the lemurs in their open-air habitats! Being January for my visit, all the animals were indoors, but the tour was still captivating. These lemurs spend most of their time in trees — i.e. they are arboreal — and they have evolved a hip structure to accommodate this that is unusual for primates. They are unable to walk like a human because of this structure, and when they move on the ground they use an unusual sideways leap to get from place to place. 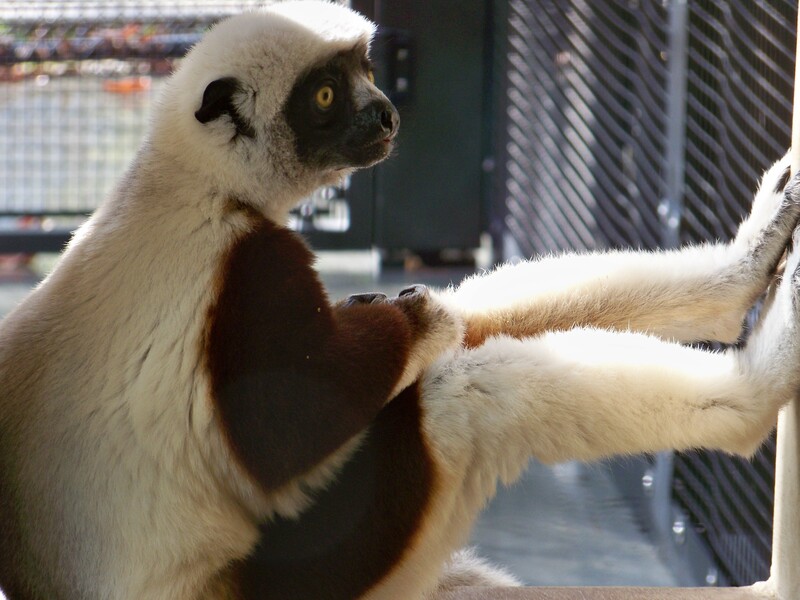 Right across from the Coquerel’s sifaka was an enclosure containing a pair of ring-tailed lemurs, which are the lemurs most commonly known to the public. Ring-tailed lemurs are highly social, and typically live in groups of as many as 30 individuals. 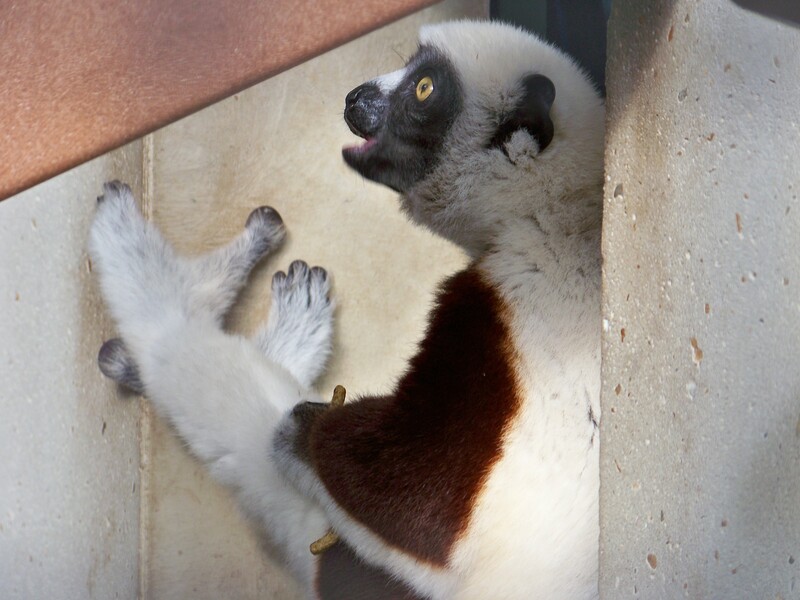 They mark their territory using scent glands in their forearms, and the Duke Lemur Center is doing research to understand how well they can distinguish between scents of close relatives and unrelated ring-tails. We were treated to a demonstration of one of the tests, in which different scent-marked sticks were presented to a lemur to judge the reaction. 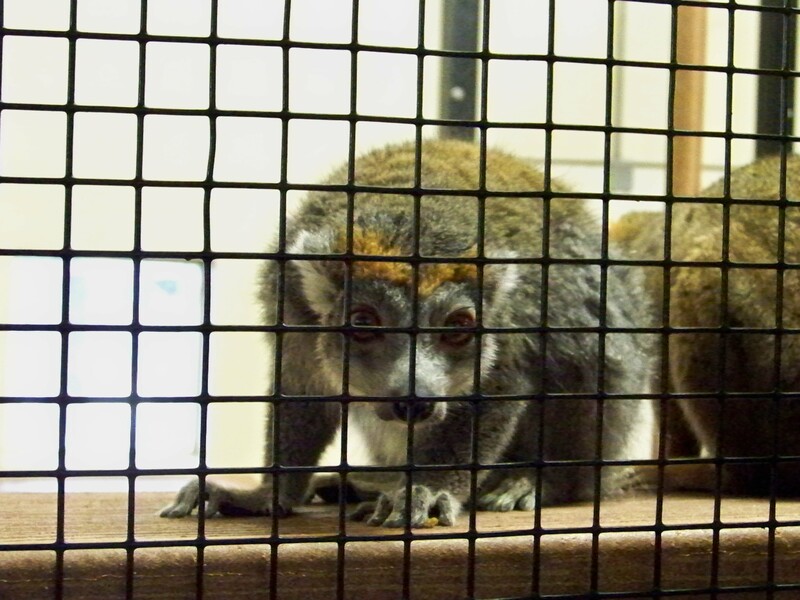 … as well as the brown lemur! All of the species mentioned so far are diurnal, which means that they are active during the day. Many species of lemur are also primarily active at night — nocturnal — and the Center has a special enclosure to care for and study these dark-loving creatures. Perhaps the most unusual of these is the aye-aye, which at first glance can seem quite frightening, especially if one were to encounter it unexpectedly in the dark. I was fortunate to get a very short video of the aye-aye up close in the nocturnal house. You can see from the video that the aye-aye has remarkably long fingers; this includes a very narrow and flexible middle finger. This middle finger is used by the aye-aye to tap on branches to listen for grubs within; when food is found, they chew a hole in the branch and hook it out with the long slender appendage. With a little understanding, the aye-aye ceases to seem menacing and, to me, it actually looks rather adorable! Unfortunately, the aye-aye is viewed as an evil creature by the Malagasy people; it is believed by many that being pointed at by an aye-aye’s slender finger marks that person for death. This has led to an increased danger to the aye-ayes beyond the habitat destruction that threatens all lemurs. 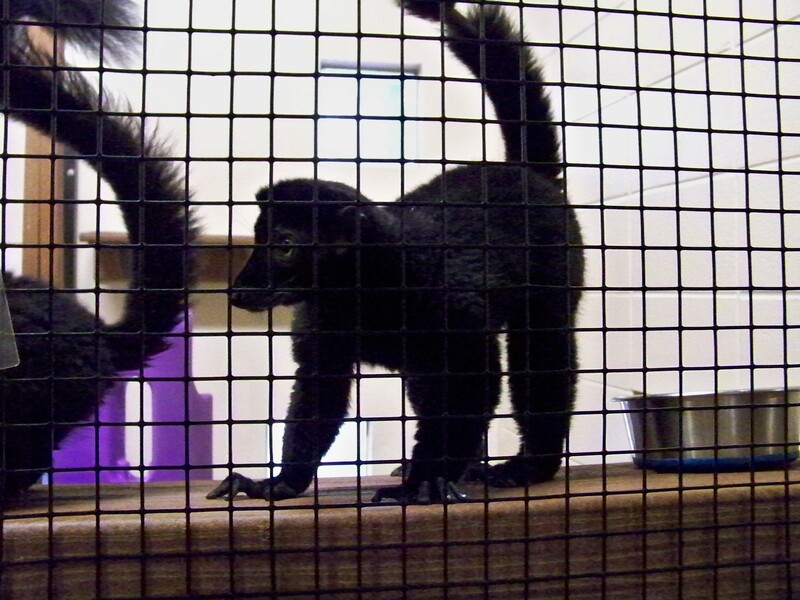 In addition to having brown lemurs, the Duke Lemur Center also has black lemurs! We were fortunate enough to spend some time watching them. Our next stop was perhaps my favorite species of lemur: the red ruffed lemur! 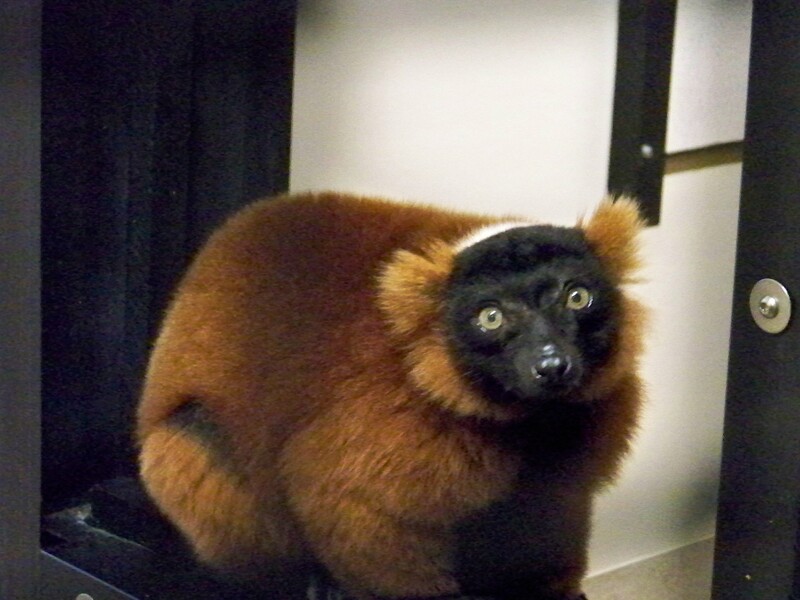 One thing that we learned about the red ruffed lemur: it is a noisy species! They vocalize a lot, and in the short time that we were in the building with them they probably raised four alarm calls. Our guide noted that, although the other lemurs react to these calls, the relax much quicker when a red ruffed lemur raises the alarm than when any other species does. The red ruffed lemur is really the lemur who cried wolf! While touring the Center, we were also treated to explanations and demonstrations of how they study the cognitive abilities of the lemurs. 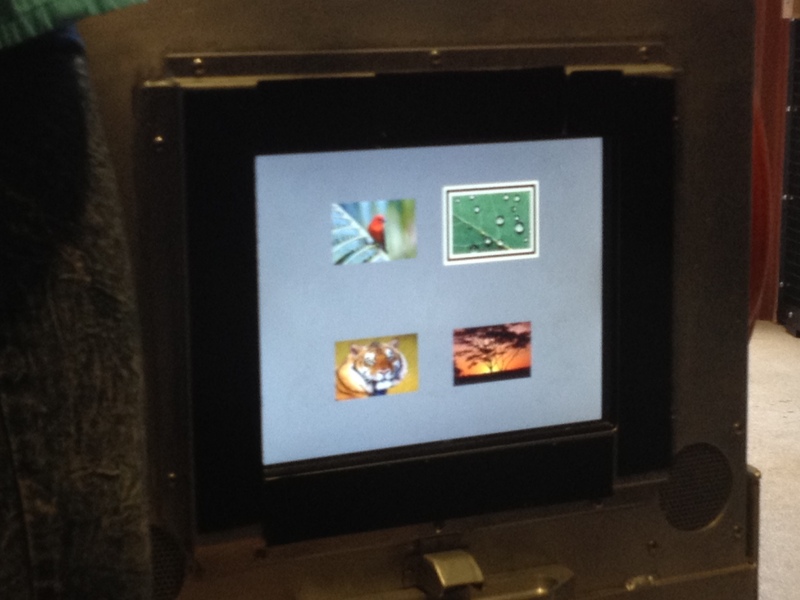 One student showed us the touchscreen computer used to test the abilities of lemurs to recognize patterns. 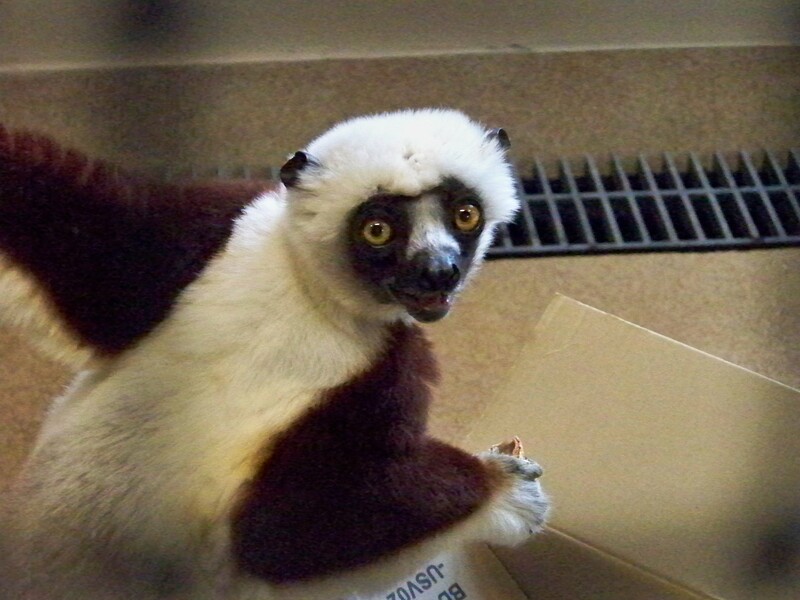 Another bit of exercise was demonstrated by Tiberius, another Coquerel’s sifaka, who was given a box with treats hidden inside. Tiberius would happily dive head first in the box, feet sticking out, and eventually emerge with a treat in hand. I could’ve stayed all day watching the lemurs, but alas our time there was short! As we prepared to leave, it seemed that the lemurs themselves didn’t really want us to go. It was an amazing trip, though, and I got some wonderful pictures! I’ve been saving my best for last; while snapping photographs of the ring-tailed lemur named Teres, I caught what appeared to be a pensive moment. This is one of the best photographs I’ve ever taken, and not indicative of my ability as a photographer! It certainly captures the unusual beauty of lemurs and emphasizes to me how important it is to save these unique species from extinction. You can help, too! Even if you don’t take a tour, you can visit the gift shop of the Lemur Center in person, or order a piece of Lemur-made artwork by phone. 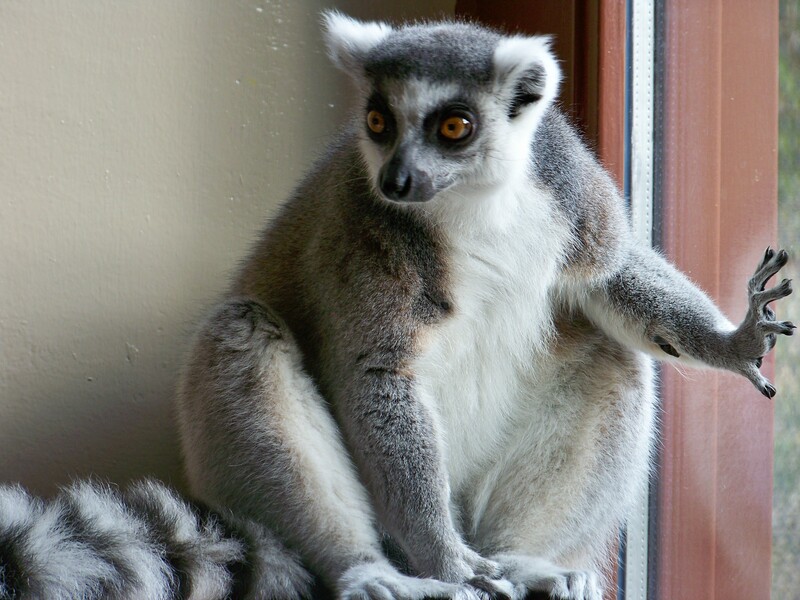 You can also “adopt a lemur” for yourself or as a gift for others, or simply make a donation. 2 Responses to A(nother) visit to the Duke Lemur Center! Gorgeous photos and great post!